It is estimated that over 12,000 new teachers begin working in schools and early childhood settings each year. The Australian Institute for Teaching and School Leadership (AITSL) says that continuous induction is key to supporting their development and retention. To complement the induction support new teachers receive from their employers, AITSL provides free, online resources to help beginning teachers track their progress and develop as professionals. AITSL Acting CEO Edmund Misson said during such an exciting and challenging time for beginning teachers, it was crucial to remember the importance of induction support to refine expertise. 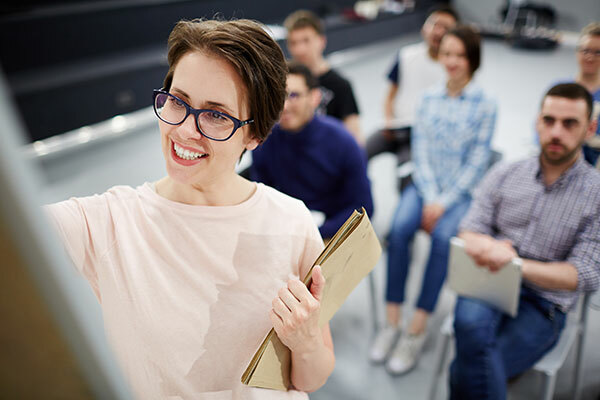 He said that ongoing induction is a key part of supporting professional development as new teachers navigate their new environments and emerging career paths. “The best induction programs include practice-focused mentoring, contact with school leaders, collaborative networks, targeted professional learning, observation and reflection,” said Mr Misson. He added that AITSL wants to ensure beginning teachers have the resources and tools they need, to complement existing programs in their schools and assist them to have the biggest possible impact in the classroom. Downloaded more than 17,000 times, the AITSL My Induction app offers expert advice on the go, provides answers to frequently asked questions, and allows new teachers to track their professional wellbeing and growth. Beginning teacher Vicki Nguyen, from Airds High School in NSW, said the induction program developed and offered at her school, combined with support from the app, helped her through her first weeks in the job. “It has been a busy time but the staff have been great and I have definitely felt supported,” Ms Nguyen said. “It’s reassuring to know there are others going through the process with you, and others who have been through it before. “At Airds High School we value our beginning teachers and have developed a tailored and rigorous induction program to make sure they are supported. We meet three times each term, and it is so rewarding to see new teachers flourish in this environment,” she explained.